• Bahria Town Karachi that offers complete royal lifestyle with Bahria’s signature facilities. Be a smart buyer and get this villa to enjoy an absolute lavish living. • Bahria Town Karachi is master planned community featuring a privileged lifestyle for its residents. Designed on a neighborhood concept, world-class facilities are provided here among est major landmarks like Grand Jamia Mosque, USGA Golf Course, Rafi Cricket Stadium, replica of Taj Mahal and Bahria Dancing Fountain. Complementing all your needs for modern-day living, Bahria Town Karachi is an ultimate dream destination. • Affordable luxury apartments in Bahria Heights and Bahria Tower are also available. 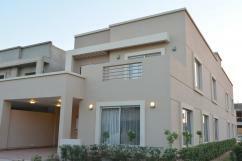 We also have some beautiful villas for sale at reasonable price. • Task Status: Possession Handover has been begun. • 20 minutes from City Center by means of metro transport. • It is certain to be a beneficial arrangement for any authentic customer. • Get in touch with us for more points of interest. I am interested in your property Reference No. with title 'P 10 A available For sell good lactation bahria toan Karachi,'. Please send me further details. Thank you.